From a locality’s perspective, a successful water public-private partnership (P3) rests on the power of knowledge, information, and experience. With respect to knowledge, a locality contemplating a P3 must ask: what’s the problem we’re trying to solve? Is it maintaining, upgrading, or expanding our water infrastructure? Are we trying to close a non-water related budgetary gap, for example, funding employees’ pensions? Or, is it a mix of water infrastructure and non-water related budgetary needs? After identifying the problem, a community needs to gather information and expand its knowledge base. It must ask: what’s the best way to solve the problem? For instance, if its water system needs capital, can the locality raise the funds by borrowing, increasing rates, achieving economies by consolidating and/or regionalizing services across small neighboring communities, or tapping general funds? In view of the fiscal crisis facing many localities, general funds represent a highly unlikely capital source. The funds will not magically appear and another solution must be sought. Although not a panacea, a long-term P3 arrangement may help provide a new funding source to meet the water infrastructure capital needs. A P3 may also offer other benefits, including increased efficiency, cost savings, improved compliance with environmental standards, and overcoming a lack of public sector managerial and technical expertise. In going forward to implement a successful water P3, a locality needs experience and access to best practices. Although there’s no secret sauce, it can hire consultants and outside counsel. These experts build a community’s capacity for entering into a P3. They can advise on the bidding process, perform due diligence by investigating bidders, and help with contract negotiations and drafting. A carefully drafted, monitored, and enforced performance contract will meet possible objections, such as union agreements, rates, and service issues, but the community must bear the requisite transaction costs involved in implementation. Officials must also communicate to their constituents that the profits a private entity obtains from the P3 are not at the public’s expense. Let’s take a specific example of a P3 currently being studied. Allentown, Pennsylvania faces the need to raise between $100 and some $250 million to meet its pension obligations, among other liabilities, and avoid cutting public services. Projections indicate that the municipality’s pension obligations will grow to $23 million annually by 2015, a four-fold increase since 2005. These obligations will engulf the city’s budget. To solve its budgetary plight, among other options, Allentown is considering a long-term lease of its water and wastewater systems. Thus far, the city has retained a consultant to advise it on the P3 process, distributed a Request for Qualifications, and narrowed the list of potential bidders. Building on their existing knowledge, gathering new information, and obtaining experience by hiring experts, communities throughout the United States can successfully implement water P3s. Private firms and potential investors should pay attention and see this as an opportunity to enter into win-win partnerships with localities. 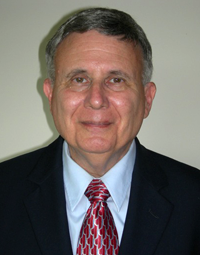 Lewis D. Solomon, an emeritus professor at The George Washington University Law School, is the author of America’s Water and Wastewater Crisis: The Role of Private Enterprise (2011, paperback edition 2012). He is a Senior Advisor on Public-Private Partnerships, Infrastructure Finance & Development at The Horinko Group.